The NCSBA policy department’s knowledgeable education attorneys and staff, experienced in editing and communications, offer local boards information, services and tools to help fulfill their policy-making responsibilities, one of the most important duties of school boards. Click here to download a copy of our policy brochure. Quick and easy online access to your policy manual. 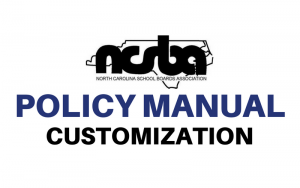 The Association’s legal/policy staff is available to provide sample policies to NCSBA members and to assist with policy-related questions. Check out our frequently requested sample policies and affidavits online.